Federal energy minister says AEMO is best placed to assess what storage levels are needed to stabilise Australia’s grid. Energy minister Josh Frydenberg has sought to clarify recent comments on the storage requirements for new wind and solar farms, saying it would be up to the Australian Energy Market Operator to decide how much is needed. 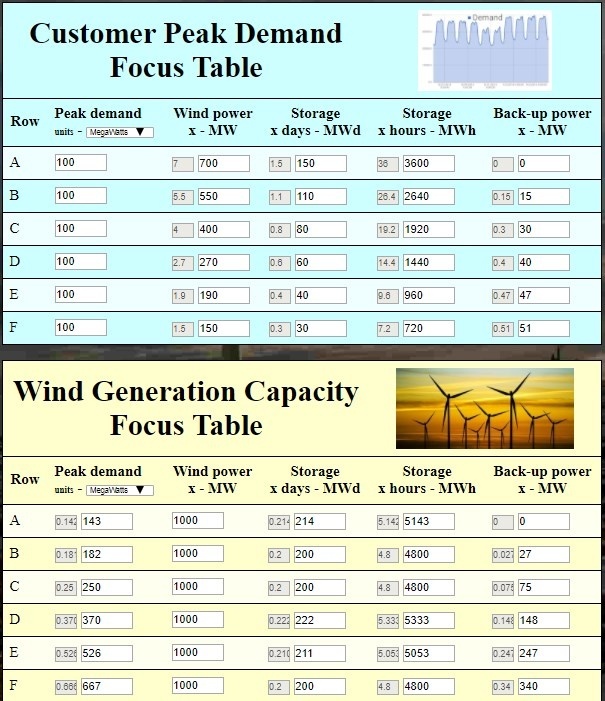 Recent examples used by Frydenberg – one in the party room and another at a recent conference – had raised concerns that all new wind and solar farms would be burdened by excessive amounts of storage requiremens. However, Frydenberg told RenewEconomy on Thursday that recent examples he had used – of a 100MW wind farm having 25MW storage for four hours, or 50MW for two hours – were only a guide. “As I have said publicly on numerous occasions the Turnbull government welcomes Finkel’s recommendation that intermittent sources of generation be responsible for supplying their own storage and that the storage requirements may depending on need vary from state to state,” he said. “It is appropriate that the quantity of that storage requirement be determined by AEMO as they are best placed to assess what storage levels are needed to stabilise the grid. Frydenberg was also anxious to dispel the suggestion that he was seeking to turn wind and solar into “baseload” plants because that would presuppose being able to generate at full capacity 24/7 – which is not what he is proposing. Frydenberg’s commitment to leave the issue with AEMO are important as policy makers and energy market authorities wrestle with the shift in energy market design. It is now clear that the system will shift from the old baseload/peakload paradigm to one based predominantly around the cheapest cost of energy – which is now wind and solar – and having dispatchable and reliable generation filling in the gaps, and how to manage that transition as coal plants exit the system. That shift reached another major pivot point last week when South Australia announced that Tesla would build a 100MW/129MWh lithium-ion battery storage – the world’s biggest – near the 309MW Hornsdale wind farm owned by Neoen. It is the first big initiative towards making wind and solar “dispatchable”, even though much of the capacity of that particular Tesla plant will be dedicated to ensuring the stability of the grid in the event of faults such as a network failure or a big gas plant tripping. Indeed, 70MW of the Tesla facility will only be able to operate at full capacity for around 10 minutes. But that is all that is needed in fast response to network and other faults. But the short time-frame of the storage is causing confusion among many about the role and capacity of the plant. (See our explainer here). How to manage that transition and integrate storage of various types and designs is the key question for operators and policy makers. Conservatives have been calling for new coal fired power stations to be built, digging deeper into the baseload thinking, despite all private players in the industry saying they would never be interested in such investments because of their cost and emissions. Frydenberg has written to AEMO asking what level of storage will be needed when the Liddell and Vales Point coal generators close as planned in NSW in the 2020s. AEMO is also looking at how much storage will be needed as the penetration levels of wind and solar approach and move beyond what the CSIRO and Energy Networks Australia describe as “trivial” levels of penetration – between 30 and 50 per cent. Both it and the Australian Energy Market Commission have numerous studies under way, and it is likely to be a fluid and on-going work, given the rapidly evolving industry views about how much wind and solar can be incorporated into the grid, how much “real inertia” is needed and what machinery can provide other critical network services. AEMO boss Audrey Zibelman wants the new investments to be market driven as much as it can. She has expressed caution about the amount of storage needed over the long term, although AEMO’s biggest concerns appear to be the next two summers and the reliability of the country’s ageing fossil fuel fleet. She is also advocating the use of “smart” demand side technologies such as “demand management”, energy efficiency and battery storage, and wants the state and federal ministers to “get on with it” to push through the Finkel recommendations and new market rules. Some wind and solar farms are going to add battery storage in any case, because they see market value in shifting their output from low to high demand and/or providing grid security services like synthetic inertia or frequency and voltage control. In many cases, battery storage will be used to deflect investments in new poles and wires and equipment upgrades. Battery storage is considered the best value now for instant response and short term storage, while longer term storage may be best served by pumped hydro and other storage technologies such as solar thermal. The question is that if Snowy Hydro 2.0 and the proposed Tassie Hydro expansion are built, how much other large scale storage will be needed. The question might then be whether those facilities can make sufficient revenue from their normal course of operations, or whether it would need wind and solar plants to “subscribe” to their services. The Finkel Review made clear that the cost of solar and wind, plus storage or firming capacity, is cheaper than gas and no more expensive than coal, even if carbon emission and other environmental costs are not counted. Other studies by AGL, Reputex, the ANU and others have come to similar conclusions. The key, however, will likely be in the market design, which suits incumbents at the moment because it did not contemplate the arrival of zero-fuel cost technologies like wind and solar, and the arrival of storage. The much-delayed 5-minute rule, which will encourage battery storage over slow moving gas plants, will be a key component. The NSW Coalition government has said that Snowy Hydro 2.0 would enable 5GW of new wind and solar to be built. It hopes to build two big “renewable energy spines” going east west and north south across the state, taking advantage of local resources and infrastructure. Queensland, which has very little large scale wind and solar construction, although about 2,000Mw in construction or about to start, is about to hold a tender for energy storage. It already has the little-used Wivenhoe pumped storage facility and Genex, which is proposing a 250MW pumped hydro plant next to a 270MW solar farm on the old Kinston gold mine, has made the short-lift for financing from the North Australian Infrastructure Fund. Any new wind farms in Tasmania would not need new storage because it already has so much pumped hydro facilities. Vales Point and Liddell are big power plants and will leave a big hole when their gone if solar and wind, plus adequate storage isn’t designed and subsequently built soon. I’d love to hear from experts how much storage we will need. Vales Point and Liddell (50%) rarely run beyond 75% of capacity and burn increasingly expensive black coal, not to mention the technical issues associated with 50 year old obsolete power stations. The consumer is getting screwed by these privatised dinosaurs, and they in turn are getting screwed because there is no carbon price that would allow and incentivise them to reduce fossil fuel reliance in an orderly fashion and simply not go bankrupt. From an economic perspective, it is not a moment too soon that renewable energy storage is being rolled out. A hell of a lot more is required and soon. Australian governments, in general, and Frydenberg, in particular need to piss or get off the pot, and, in the absence of a carbon price, for AEMO to stop propping up the fossil fuel generators. Governments should be levying the grid scale renewable energy industry and passing on that levy to the fossil fuel industry in return for retiring old fossil fuel generators and rehabilitating coal mines, and in turn imposing a carbon tax on fossil fuellers. Should almost work out a zero sum game….double entry carbon taxes! Ken I agree, but I want to see the RE plan don’t you? It is a very complicated thing to get the RE plan done right but with long term planning a super computers is doable. You have to balance on off wind and solar plus rural ends of the network and now batteries. However you really need control in one group’s hands plus policy plus info and resources to get done right. Not there. Plan? There will be no plan. A plan is a great idea, but it won’t happen with the government being openly hostile to the renewable energy transition. No, you in Australia will get the disorganized, market-driven, capitalist transition. It’ll be interesting to watch. It will all be about personal decentralized installations, and yes, it will end up costing more than a sensible centralized plan, but second-best is OK. I sense that not all are happy with this idea of large scale renewables projects being required to install storage. Fact is that the LGC are very generous and storage is desperately needed. The pay back times for solar and wind are very short. There are so many contenders waiting in the wings to build out solar and wind projects, that we do not need to worry about the overseas dollar, we should not give away our demand capacity so easily. Allow plenty of grid scale solar and wind but don’t sell ourselves short on using existing incentives to get the storage we need. Yes I found your “explainer”. What’s your source for those figures? Claiming a “129MWh” capacity is more mis-selling or hype if only 11.7+90 = 101.7 MWh is actually usable. Of the 100MW/129MWh in this array, around 70MW of capacity is contracted to the South Australian government to provide grid stability and system security. It will likely mostly provide frequency and ancillary services (FCAS) when needed (such as a major system fault, generator trip or transmission failure). What happens if and when the Torrens Island Power station and its 1,280 MW develops a “major system fault, generator trip or transmission failure”? 70MW is not going to cut it if they lose Torrens. Lights off. The other 30MW of capacity will have three hours storage, and will be used as load shifting by Neoen for the Hornsdale wind farm, where it will be located. So the excess MWH are sold to Neoen who doesn’t need a high power rate but can profit from capacity. Actually they do need much more storage regeneration power and more energy storage capacity than 30MW / 90MWh. As I have explained previously, your average wind farm needs an energy store with regeneration power of 1/7th capacity (which is 45MW – or 44MW if the farm is only 309MW as claimed here rather than the 315MW they claim on the farm’s website) and they need 1.5 days, or 36 hours at that regeneration capacity, or 45MW x 36hours = 1,620 MWh. Especially 90MWh is only 5.5% of 1,620 MWh, which is grossly and disgracefully little capacity that will fail to provide any kind of a respectable 24/7/52 on demand power performance from the wind farm / battery pairing. It’s too expensive to do grid energy storage by battery, except for the shortest timescales, where yes batteries are useful but you can equally well use many other short term energy storage methods, which I won’t go into right now. And by the way, pumped-storage hydro is no slouch off the mark and is routinely used in the UK for responding to demand spikes. This whole scenario cries out for pumped-storage hydro and it is about time that Australians started listening to their own scientists who are telling them that. This battery is not fit for purpose. Megawatts -schmegawatts, storage off any kind without construction cost per MWH and efficiency rating is worth diddly-squat. Unfortunately the net is riddled with examples of PHES with construction costs quoted in MW but almost impossible to find the actual energy storage cost. There is a good reason for this, PHES is not so cheap to construct. Round trip efficiencies are good but not as good as batteries, usually a lot more South than 85%. The thing with any type of storage, be it battery or PHES, is the expense of it. You really need to fully utilise this every day. If you are not completely emptying and refilling the storage on a daily basis then you are wasting money – opportunity cost if you must know. Long term storage, by definition, is large and seldom used. PHES ( and batteries ) are eminently unsuited to this function. Don’t confuse ordinary hydroelectric power stations with once-through water usage with pumped hydro. These are a different kettle of fish altogether. These have , generally, massive storage reservoirs and are replenished from above. They are very suited to long-term storage, simply because they are designed to operated round the clock and right through the year. Our poor drought-stricken country cannot rely on too many once through hydro schemes, so we may have to resort to the vastly inferior PHES or battery storage. As already stated, PHES is not much different in cost to batteries per MWH and batteries are far more dispatchable and quick to install. So, think carefully before splashing out on PHES, it ain’t the panacea we wish for. A$ 10 to 20 million. (Not that 100MWh is anywhere nearly enough energy storage). What’s Tesla’s price, US $50 / A $65 million / ? Is it worth the extra? If it was the same price, I’d definitely recommend it, but at 5 times the cost? I’d rather spend the same and get 5 times the energy stored in a pumped-storage. Imagine if you could get 500MWh for the same money for the Telsa deal. A pumped-storage hydro energy store back-up for a wind farm would not be used for “long term storage” – for a few days at most. For longer term storage you’d probably use power-to-gas, generate hydrogen by electrolysis of water, utilising any surplus generation for that purpose, once demand and the pumped-storage reservoir was topped up. Tesla’s price is $250/kwh, or $250,000/Mwh. Deal with it. It’ll probably go down in a couple of years (since it has been going down very fast), but right now, that’s what it is. Yeah, you probably have to double it to account for miscellaneous ancillary costs of installation and wiring. Pumped hydro has wiring costs too, very large ones for transmission lines, which are typically left out. I think you may have missed what the purpose of the battery is. It’s to improve system ride-through resilience in the face of events like loss of transmission, it’s not spinning reserve for 1200MW of steam turbines that are already backed by spinning reserve, nor is it (much) for time-shifting 300MW of wind turbines that are already backed by gas and steam. Pumped hydro and P2G will find their niches, I’m sure, but you can’t build gigawatts of pumped hydro storage in a very dry state from a standing start before next summer. Can you? What sparked my complaint about this battery was the claim that 100MW/129MWh, still less 30MW/90MWh was up to the purpose of smoothing the output from a 300+MW wind farm. That’s my main beef. “Battery smoothing of wind or solar farms output for customer demand” is the mythical dragon which I have come to slay. While I am passing through I pointed out that there are finite limits to what 70MW for 10 minutes can achieve for grid stabilisation but I don’t have any scientific issue to raise with the established engineering practice of using batteries for short term power supply for any purpose. Agreed – indeed utilising both – pumped-hydro for short term storage, P2G for long term, will manage smoothing of wind and solar farms for customer demand perfectly. but you can’t build gigawatts of pumped hydro storage in a very dry state from a standing start before next summer. Can you? The issue is what AUSTRALIA can do and I am certain sure that Australia can do great things, even “build gigawatts of pumped hydro storage in a very dry state from a standing start before next summer” if Australians wanted to. It’s the timeframe that’s unrealistic. I’d give it five years minimum, ten more likely, before any significant new pumped hydro exists. Even the “Snowy 2.0” proposal, with no new dams, requires new long deep underground tunnels. So choose alternative quick-build sites / designs, which don’t require long deep underground tunnels, but where the penstock is surface pipes with a reservoir intake which goes under the dam, as shown in the photograph of Tumut-3. Three years construction minimum, from a standing start. If we had one permitted and designed and in the pipeline, maybe a little less. South Australia needs grid stabilization by the end of the year. Um, you don’t understand the purpose of the battery installation. 30 MW / 90 MWh contracted energy storage to *arbitrage power prices*, smoothing them during the day. No, this is not the optimal amount for arbitrage of power prices. There will be more storage. This is best thought of as a side-effect sale. Much like crude oil is pumped solely for the purpose of producing gasoline, but they sell asphalt as well. None of this is intended to handle seasonal storage. All of it can be in place by the end of the year. Pumped hydro is going to take multiple years to construct. Period. It has never ever taken less than 3 years, to my knowledge. Image I captured from G.E. shows reservoir sites near Mount Remarkable. I’m sure it can be done and I think it probably will be done. You’re persistently confusted, Scottish “Scientist”. You don’t understand the function of the battery. Good news. Better professionals than politicians. Josh Frydenberg is a senior government politician. It is his fundamental skill not to issues statements that will be misconstrued. Either he has been incompetent, in which case he should be sacked, or he has been slapped down, in which case he should resign in protest. If he remains in this job, serious questions must be raised about him being out of his depth in his current portfolio. The market does some surprising things. If the storage requirement is implemented into the market now being designed, most of us will be surprised at the outcome. The word storage will be adjusted to a broarder term, perhaps backup. Generators will provide market backup or what will be termed “virtual storage”. Some will have huge batteries because of their generation input location will make it a goldmine because of the nature or the grid under stress in that area. Others will provide virtual storage via load side contracted load shifting. There are traders dreaming up amazing solutions right now. It all may make no sense on first look. But the market does initiate resourceful solutions. This is really a sabotage attempt. Storage will get installed on its own due to the current market forces (the example of rural towns has alrady been given). Top-down regulation is not necessary and seems to be designed to hamper renewables adoption.